We are lucky enough to have a twin compost bin – one section breaks down while the other one piles up on an almost daily basis. Two or three times a year the ‘add’ pile gets so high it threatens to topple over, so we know it’s time to use or bag the stuff that’s ready. As each bin can hold around a tonne of well-rotted organic matter, it’s no mean feat digging it out. But the hard work is worth it because the finished compost is dense, rich and crumbly, and saves us a king’s ransom each year. Well-rotted organic matter, be it compost or manure, is perfect for the garden. Layer it on borders and let decomposition, weather and worms break it down and take it into the soil. It will enrich the soil with nutrients, act as a mulch and help open up heavy clay soils, making them easier to work. Dug into thin, poor soils, it increases its ability to hold on to moisture. Avoid adding ripe weed seedheads to your compost – they will proliferate when you spread it. Also, leave out any part of invasive plants such as comfrey, mint and especially Japanese knotweed or Himalayan balsam, as they will contaminate the whole batch and start to grow in it. 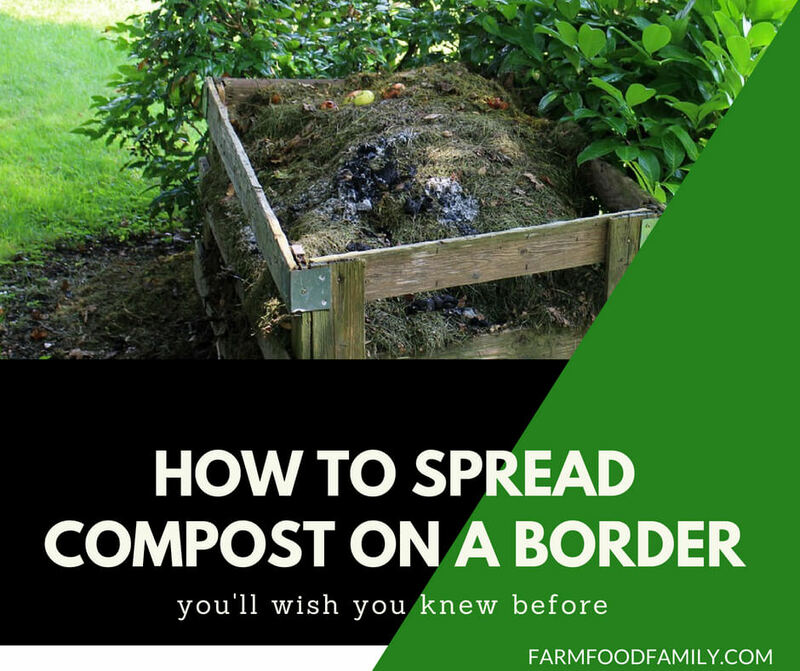 Compost is easy to make and saves a lot of money. Good ingredients to add to your heap include green kitchen peelings and garden material (grass clippings, deadheaded plants) and brown material such as woody stems chopped small and ripped up bits of cardboard. Never add cooked food, meat, pet waste or teabags containing plastic as they either attract vermin or won’t break down. Turn your heap regularly with a fork to mix the ingredients and add water in dry weather. Covering it with old carpet helps it heat up and speeds decomposition. 1. Taking care not to squash plants, dump your compost in piles throughout the bed. It looks a lot, but will soon disperse. 2. It can be raked into a covering layer a couple of inches deep. As well as feeding plants and improving the soil, it makes the beds look tidier too. 3. Store any remaining compost in old animal feed or rubble sacks. Close the tops so weed seeds don’t blow in and then use it when needed. Tips: Before spreading your compost make sure you remove any hard woody stems, bits of plastic and plant labels that ended up in it and won’t break down.